This was a much easier night than the first gig of this tour! 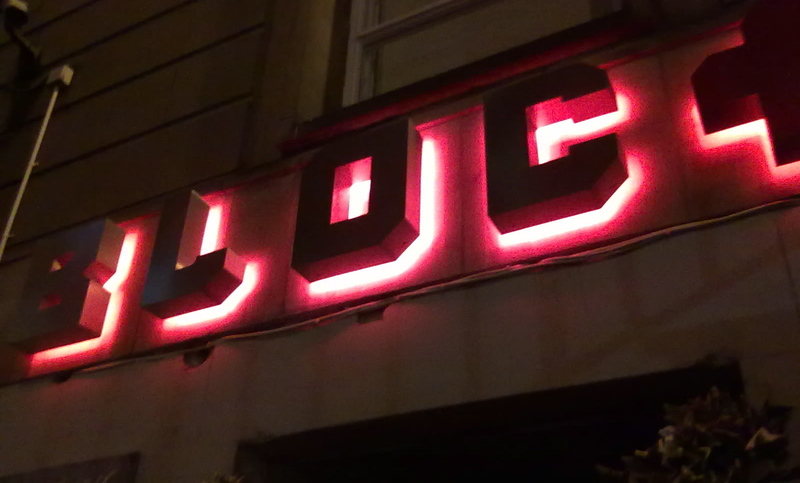 Hometown gigs always are & especially at our second home (and Edinburgh’s finest live music bar) Henry’s. 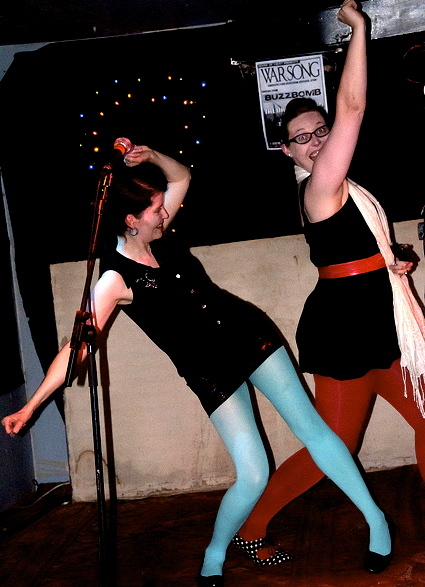 First up it’s the mighty Shock And Awe – rawkous punk with a drum machine! It was their front man who had set up the gig and he was in fine form. They kick started the night with a bang (that’ll be Murray drop-kicking his Fender across the room) and everyone certainly seemed to be loving their antics. I’d never seen Shock And Awe live before, but it’ll definitely not be the last time. 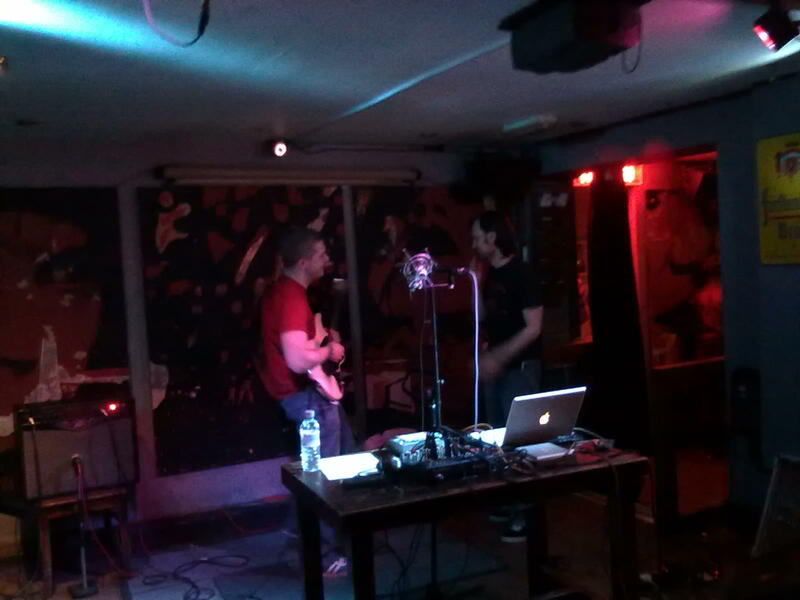 Next up for another very short set was solo act Xerox Zeros, an 80’s influenced club type sound. It’s difficult to describe but I’m going for a mix between The Cure and The Pet Shop Boys. I think it was his debut gig and I’ve not seen much sign of ‘on-line life’ yet but I’m sure there’s more to come from this one-man wonder. If you like dark lyrics and up-tempo beats be sure to check him out. We take to the stage about 9.30pm and play the new LP ‘Sinking Into Darkness’ from start to finish, plus our cover of ‘Time’ by Chase & Status at the end for good measure. We all felt that it was a very good gig! The sound on stage was really well-balanced and the crowd were on great form. A big thanks to our special fans; Lennox, Rachael, Matt, Fran & Alla. After a great night we’re back home before midnight (if only all gigs were that easy) and looking forward to the next show – Paris here we come! 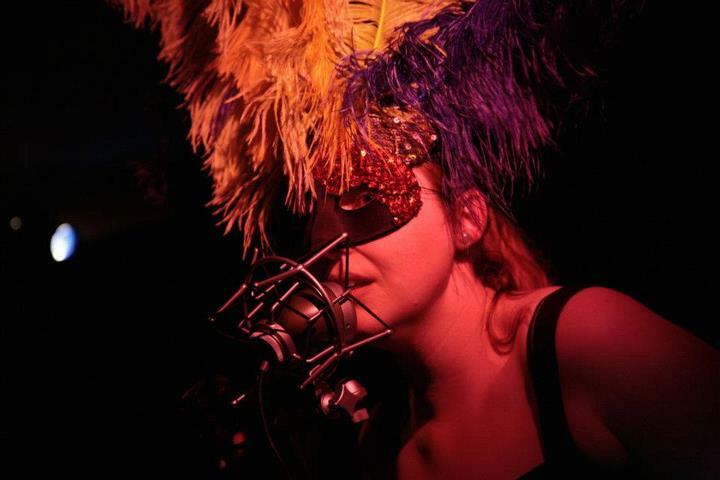 After a crazy few days it’s time to start the Sacre Noir Summer Tour 2012! * And we’re supporting Hyperbubble (Electro-Pop + from Texas) for both their Scottish tour dates and that’s very cool indeed! It’s a late show and we don’t need to be in Glasgow til 10pm, so we pack up our stuff and have some tea at home. This is going to be the first Sacre Noir gig with Alexis playing guitar, so we’re keen to see how the changes work live and what the crowd will make of us. Phil picks us up and we’re in Glasgow by 9pm… after an unsuccessful jaunt to try and find coffee we head to the bar and take in the local banter before load in. Glasgow & Edinburgh are such different places on the surface, and in truth underneath too. 10pm – we go back to the car (which Phil has parked right outside the venue – nice one) to grab our gear for set up and as soon as we open the boot I notice my suitcase isn’t there. Instantly I feel a rush of sickness. Everything is in that suitcase. I can’t, or rather we can’t play a show without it! ON NO!! What have I done? Where is it? How could I leave the house without my stuff? I managed to remember to take feathers and a set list… not much good they were to me now. I’m in panic mode and have no idea how I could be so daft! Thankfully both Alexis and Phil were totally cool, calm and collected – what I did to deserve those two I’ll never know, but between them they arrange that we’ll head back to Edinburgh to get the suitcase and we’d be back in Glasgow by 12.30ish. The night runs 11pm-3am and the sound engineer was extremely cool about the whole thing! So that’s what we did and by 12.30 we’re arriving at Bar Bloc for the second time that night and Hyperbubble are already in the middle of their set. I was meant to bring a keyboard for them but thankfully they’ve managed to sort that out in our absence. They’re such a cool band & the crowd in Glasgow loved their tunes. They have the same fun vibes and hi-energy live show that’d you’d expect from their videos and LP tracks and I can’t wait to see their full set in Edinburgh next weekend (Summer Tour Gig Two). After a quick chat with the promoter (who was also extremely cool about my considerable silliness) we set up and get ready for our first set of this tour. I think the crowd are on a bit of a high after the Hyperbubble set so we are feeling pretty good and as it turns out the set went down a treat. We have a much darker sound than the pop-tastic Hyperbubble but the Glasgow crowd still danced around and had a good time. And that’s why I love Glasgow – both the city & it’s inhabitants love to party and they aren’t embarrassed to have a good time. So by 2am we’re all packed up & just about ready to face the second drive back to Edinburgh of the night. On the way home Phil played DJ and treated us to a fine selection of tunes by; Devlin Townsend, Buckethead, Limp Bizkit (feat. Snoop Dogg) etc and I realised that in the last 24 hrs Alexis & I will have travelled about 250miles… good prep for tour travel I suppose! 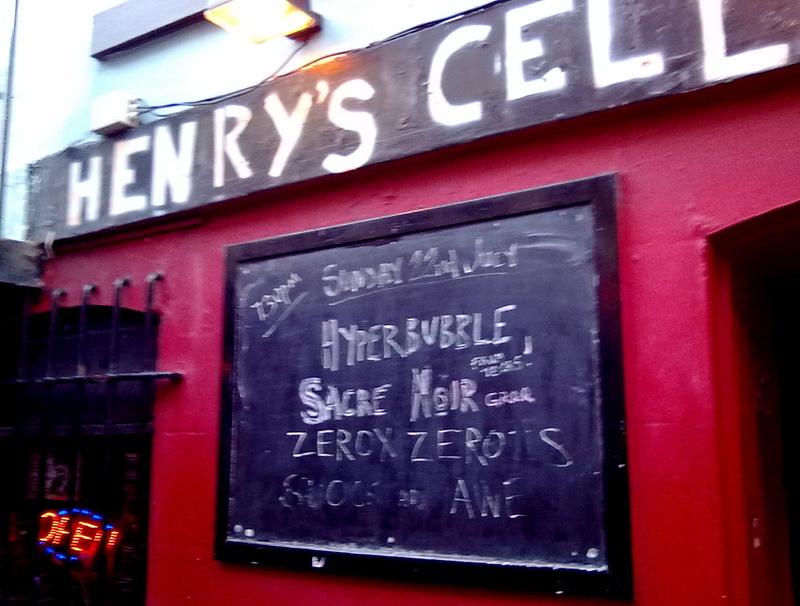 Next stop Henry’s Cellar Bar, Edinburgh with Hyperbubble & Shock and Awe! Sunday 22nd July 2012 – the day before the 2nd Sacre Noir LP is released so we’re gonna treat this gig as the album launch and will have a few copies for sale that night too. You can still pre-order the new LP @ the Savage Store and take advantage of the special offer the label is running (FREE STUFF) or wait til it’s out there on the tinterweb (iTunes, Spotify, Deezer etc) either way it’s “coming to get you”.